There are plenty of issues that plague both the AppRadio and AppRadio 2 at the moment. Although some have been fixed by software updates, others have been worsened or new ones have cropped up. Yesterday I encountered something I haven't seen before while using my AppRadio 2. I have seen this error while using my iPhone with other devices but this is the first time I've seen it with AppRadio/AppRadio 2. I connected the phone to my AppRadio 2 after starting my car and an error message popped up on my iPhone. It said, "This Accessory is Not Supported by iPhone". I'm sure you'll have seen this message before. Especially when using the iPhone with third-party hardware/devices like chargers, sound docks etc. The iPod button lit up on the AppRadio 2, as you can see in the picture, but the Apps button was greyed out. I tried disconnecting the iPhone and reconnecting but the message kept popping up. So I had to restart my iPhone and my car for the connection to be established again. That seemed to be the only fix although an iPhone restart only may have been enough. I am not sure what caused this error. 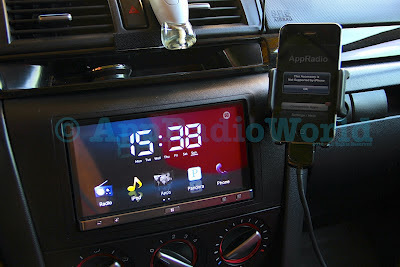 Could've just been a software issue with the AppRadio app which I had updated recently. But since yesterday this error has not reoccured. Let us know in the comments section below if anyone else has encountered this issue and what fixed it. I get the same message when hooking my iphone to a charging/audio cord which I had installed in my truck. It's a third party cord, but purchased and installed at Best Buy. It worked perfectly until I installed the "latest and greatest" itunes operating system a couple of months ago. Ever since then, the message comes up and I cannot play music through it! I am beyond frustrated with this error message because I travel A LOT for work, and enjoy listening to audio books or pod casts. If I can't find an easy fix, I think I'm going to ditch the iphone and itunes altogether, and go with a different company that doesn't screw its customers the way I feel screwed!